Harper Perennial Modern Classics, 9780061582486, 688pp. Anna is a writer, author of one very successful novel, who now keeps four notebooks. In one, with a black cover, she reviews the African experience of her earlier years. In a red one she records her political life, her disillusionment with communism. In a yellow one she writes a novel in which the heroine relives part of her own experience. And in a blue one she keeps a personal diary. Finally, in love with an American writer and threatened with insanity, Anna resolves to bring the threads of all four books together in a golden notebook. 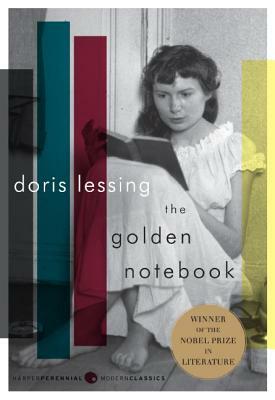 Doris Lessing's best-known and most influential novel, The Golden Notebook retains its extraordinary power and relevance decades after its initial publication. Winner of the 2007 Nobel Prize in Literature, Doris Lessing was one of the most celebrated and distinguished writers of our time, the recipient of a host of international awards. She wrote more than thirty books—among them the novels Martha Quest, The Golden Notebook, and The Fifth Child. She died in 2013.